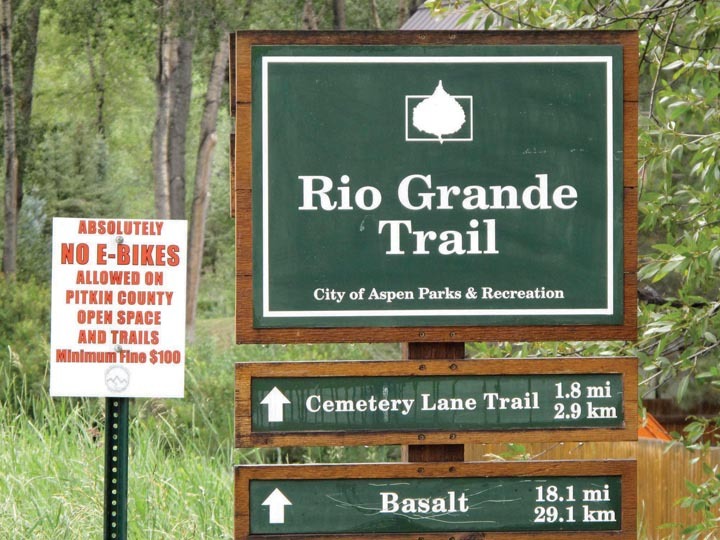 ASPEN – Open space officials in Aspen and Pitkin County will urge a ban on electric bicycles on the Rio Grande Trail with a possible exception for individuals with physical disabilities. The recommendation will go to the city and county open space boards, as well as the Roaring Fork Transportation Authority board of directors, in the coming months. All three jurisdictions, along with the city of Glenwood Springs, have been discussing a uniform policy for use of the trail, which runs the length of the Roaring Fork Valley between Aspen and Glenwood. “What we’re trying to do is get the same rules, so they’re consistent throughout the valley,” said Mike Hermes, RFTA director of properties and trails. RFTA manages a long stretch of the trail through the midvalley, between the Pitkin County boundary and the city of Glenwood. Hermes anticipates an opportunity for the public to weigh in during the RFTA board’s deliberations, probably sometime in March or April, he said. “The recommendation is to not allow any motorized vehicles, but explore options for people with disabilities to use an electric bike-type vehicle,” said Austin Weiss, trails coordinator with the Aspen Parks Department. Not all electric bicycles could be used, however, under the potential exemption. Only “electric-assist bicycles” that don’t move unless the operator is pedaling the bike would be allowed, and only by individuals who qualify. Bikes that can be accelerated solely by use of a throttle would not be permitted, Weiss said. Motorized vehicles, except wheelchairs, are not currently permitted on the Rio Grande Trail, but the issue of electric bikes, or e-bikes, arose last summer when a shop in Aspen began renting electric-assist bikes. The e-bikes blur the line between a regular bicycle and motorized transport. They have a battery that provides a power boost to the rider, but the rider must pedal the bike to make it move. With a small battery built into the frame, the bikes look much like a regular bicycle. A disabled local veteran and the owner of the Aspen shop that rented the e-bikes both appeared before the Pitkin County Open Space and Trails board of trustees last August to press for allowing the bikes on the Rio Grande. 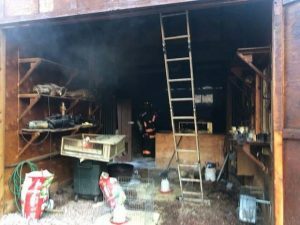 The trail was posted as closed to e-bikes after the shop, Pete’s Electric, opened near the entrance to the trail off Puppy Smith Street. Aspen resident Bayless Williams, who owns an electric bike and identified himself as a disabled veteran, told the board that riding the trail from Aspen to Woody Creek and back was one of his favorite rides, until the county posted it as closed to electric bicycles. Some elected officials, however, have been adamant about prohibiting e-bikes. County Commissioner Jack Hatfield has repeatedly voiced his opposition to letting e-bikes on the Rio Grande Trail. “If there’s a battery with a wire hooked up to something, I don’t think it should be allowed on our trails,” said Snowmass Village Councilman John Wilkinson during a RFTA board meeting in August. The Roaring Fork Valley isn’t the only place grappling with e-bikes. Late last year, Town of Breckenridge and Summit County officials debated whether to allow the bikes on recreational trails there, but came to no consensus. They did agree there should be a uniform policy for the entire county, ideally before the coming summer.